During this time, Breuer began working with tubular steel, inspired by bicycle handlebars. 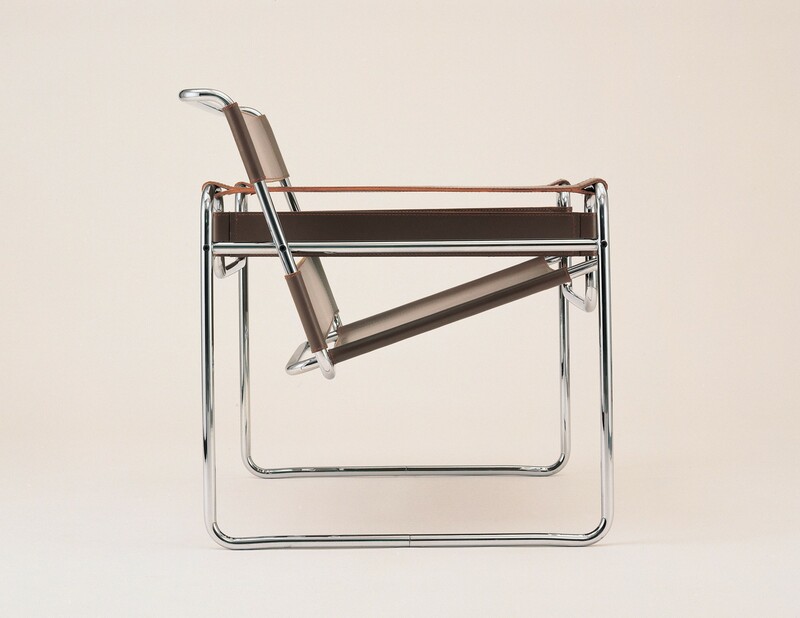 In 1925 he designed a chair that would later be known as the Wassily chair (named for artist Wassily Kandisky, a Bauhaus professor who had a copy of the original in his home), it featured a bent tubular steel frame and seat made from leather straps. It was soon mass-produced and versions are produced by Knoll today. 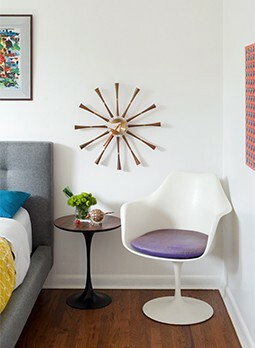 The Wassily Chair, image courtesy of Knoll, Inc. Following his time at the Bauhaus, Breuer launched architecture practices in Berlin and Budapest, collaborated on commissions in Zurich and continued to design furnishings. He moved to London in 1935 and founded an architecture office with F.R.S. Yorke. Two years later, he moved to the United States to teach architecture at the Harvard University Graduate School of Design, where his students included I.M. Pei, Philip Johnson and Paul Rudolph. It was here that he reunited with his mentor Gropius. In addition to both teaching at the university, Breuer and Gropius directed an architecture office in Cambridge, Massachusetts, for several years. Breuer also mentored Florence Knoll, who worked in Gropius’ office in the late 1930s. Breuer started his own firm in Cambridge in 1946. Ten years later, he founded Marcel Breuer and Associates, Architects, in New York. The firm eventually expanded to include a Paris branch. The firm’s work included private homes and buildings for government agencies and private institutions. Saint John’s University in Collegeville, Minnesota, features nearly a dozen buildings designed by Breuer between 1955 and 1975. The Abbey and University Church is one of those designs. It features a 112-feet-high bell banner standing on thin parabolic arches that’s made of reinforced concrete and houses five bells. 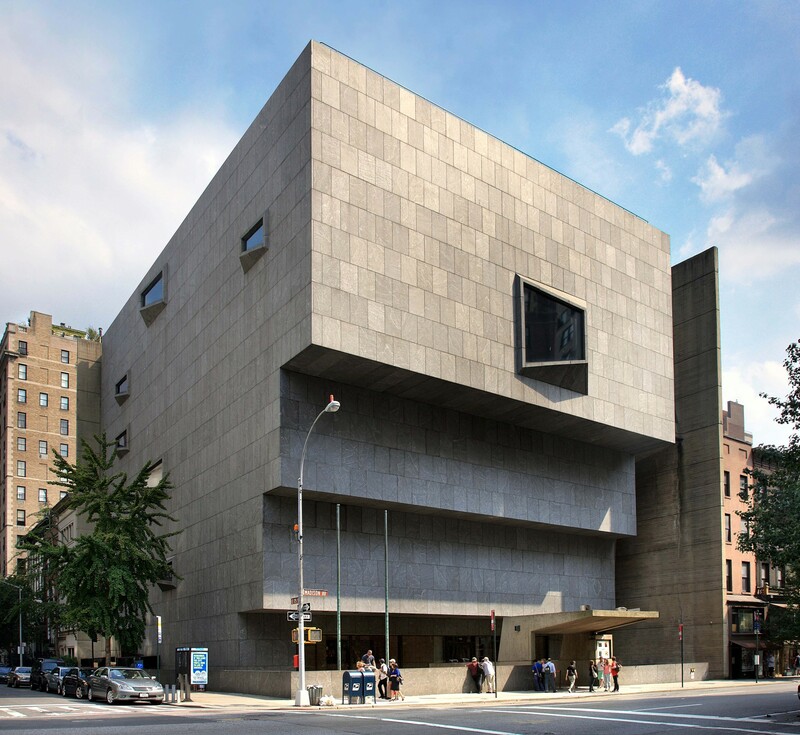 Now housing The Met Breuer, the former Whitney Museum of American Art building was designed in the 1960s. With an exterior made of granite-covered concrete, the building features an inverted ziggurat design, a Brutalist monument juxtaposing the steel-and-glass skyscrapers that populate New York’s Upper East Side. Breuer retired in 1976 and died in 1981.